For the money I expected more. It was a decent walk to get to shopping and restaurants. The food through room service was horrible. St Katherine's dock eateries,the Tower of London,Tower Bridge,River Thames,tube,access to the South bank bars and eateries. However right on the river beside Tower Bridge, two mins from London Bridge Station which has connections to London City and Gatwick Airports, and very close to Borough Market. 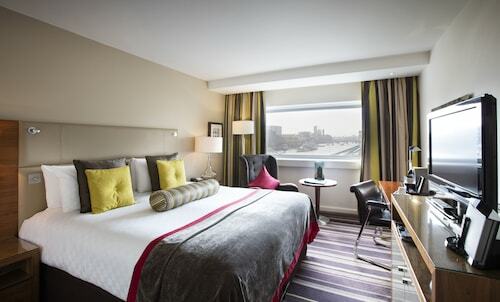 The hotel is located in a quiet street 2 minutes walk to Tower Hill tube station and 3 minutes walk to the river boats, Tower of London and Tower Bridge. Great spot to get everywhere,near tower Hill tube so used tube lots with oyster card.brilliant room overlooking tour bridge and river.